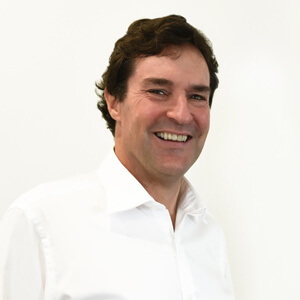 Dr Thomas was inspired to become a dentist after discovering a passion for the field and hoping to be able to improve a person’s quality of life and satisfaction with their smile. He received his BDSc from the University of Queensland in 1986 and has been working to help patients achieve their perfect smile for more than 30 years. In order to provide his patients with the best possible care, he’s taken additional courses in sleep medicine, endodontics, orthodontics, dental aesthetics, prosthodontics and dental implants. When he isn’t changing lives in the practice, Dr Thomas enjoys being outdoors and recently became a beach Patrol Captain. He also enjoys rowing and coaches rowing, cycling, sailing, bush walking, swimming, surfing and rollerblading among others. He’s interested in spreading his knowledge and passion for dentistry to anyone who’s interested. Get to know more about Dr Thomas when you book your next visit to our practice.